Home » Hagyó's Testimony: Segment on Synergon Plc. Hagyó's Testimony: Segment on Synergon Plc. According to the second paragraph of the II. Count in the indictment on page 25. the threat with the signed certificate of completion dated on the 6th of December 2007, as well as the "continuously shown violent, assertive behavior" both feared by Zsolt Balogh, causing undue advantage of the15-15 million HUF for me both in 2008 and 2009. As a preliminary point, I need to point out the fact that in this count the prosecution accused me of a criminal offense, that was only IV. accused's investigation testimony provided evidence. The described investigation testimony at the hearing, those recorded interrogation protocols, against which now Zsolt Balogh also maintains his testimony made at the hearing, and which - as I already touched upon in my general observations - in themselves and compared to each other also contain substantial contradictions. Taking into account the circumstances of IV. accused interrogation, and its said goal of motivating him, I think it is being challenged in the indictment constituting a reservation veracity. Against the prosecution's claims, as since 2010 always, also now I say - because it's the truth -, that Zsolt Balogh, has not been instructed by me neither in March 2008, nor at any other time to hand over me annually 15 million HUF as an "undue advantage" neither from him nor from anyone else I didn't take not one forint. In this context, once again I draw attention to the fact that prior to my Deputy Mayor position, I've already had an adequate financial and existential background, of which both myself and my family had a decent living which was secured, and which asset, as the Honourable Tribunal also established, that I obtained completely in a legal way. In 2010. the 6th of July the daily Minutes of interrogation of suspects continued, among other things stating that when the BKV heard that Attila Antal had a heart attack, the Deputies complemented with Bosnyák and perhaps with László Szalai got together, and for the temporary period they voted Norbert Tóth for Chief Executive. About this IV. accused said, that "it has been already repeatedly announced by Attila Antal and Norbert Tóth, that from May the company can not be financed, that's why we pushed Norbert forward." According to the investigative testimony of IV. accused, his mandate took place only a week later. Reference: Volume 64. page 41.801. An interesting fact is that Norbert Tóth, who is the only one in the protocols from who IV. accused, because of his excellent skills can only comment with a positive bias, in a tight situation simply pushed forth (these are not my words). In addition, the news media, including the Internet news portal Index, on the 18th of February 2008 includes as follows: "With suspicion of a heart attack Attila Antal BKV CEO was hospitalized at dawn on Monday." In that context, I refer to the Board of Directors appointed IV. accused in 2008. 19th of February with the the decision of No. 6/2008. (II.19. ), thus calling into question that investigative testimony can be read in the sense that it would have been a transitional period. "Hagyó screaming instructed me to take my application to Ernő Mesterházy." From this statement, it is concluded that I was in favor of Zsolt Balogh to be appointed as the CEO. Reference: Volume 64. page 41.743. "Previously from Mr. Hagyó I got the instruction to support the appointment of Mr. Kocsis. I had no say to the appointment, it was about that I had to have a professional look of his application before submission, to spot the possible errors or misunderstandings." Reference: Volume 64. page 41.813. I strongly declare, that I did not ask Zsolt Balogh either to assist the application of Kocsis, nor to take his own application to II. accused. I think the content of the two statements are not compatible with each other. Acting: Please make a statement, why did you respond an evasive answer for Éva Horváth's question, because as you've said, that Éva Horváth warned you several times, and even more so instructed you that you must give 15 million to Miklós Hagyó." Suspect: I wanted to get out of this whole thing. I just didn't want to talk about it at all. I was ashamed and embarrassed to this day, that I came down this far." 1. On the 6th of March 2010. in Hungarian Nation newspaper has been published with the title: "I gave money to Hagyó in a Nokia box..." , subtitled as a conversation with Zsolt Balogh former acting CEO of BKV" published interview. Reference: Volume 1. pages 279.-285. 2. An interview given to Hír TV "Contrast" evening show on the 7th of March 2010. Reference: the 5th point of Annex of my written testimony. According to the testimony of IV. accused made in March 2011. was filled with a deep sense of shame about what happened. However, at the same time just a year earlier, he stood in front of the widest public, and in a national newspaper and in an evening show of a commercial channel was interviewed in front of hundreds of thousands of readers and viewers allegations were made​​, of which veracity at the hearing has not been confirmed. Taking into account, Zsolt Balogh’s testimony before the court, or his statements about the circumstances of his investigative testimony, psychologically it is fully understood, however, to the contents of his words and the internal contradictions it is difficult to find an explanation. He is ashamed of his feat, but though apparently (emphasize: seemingly) nothing inspires him for this, undertaking the terrible psychological burden, by giving an interview, which stigmatizes him both morally and legally. If it's not explained by the serious consequences of panic fear, then what is it? I thought about this a lot, but I can not find a rational explanation. Correctly, I can find an explanation, but still, I can't comprehend it. The investigative testimony contains such a statement, which according I threatened IV. accused, that to C.C.Soft Ltd. signed certificate of performance, I will release to the public. The fact of Zsolt Balogh's role in the preparation of the contract, in its conduction, increase the amount of the commitment many people had knowledge of, as also of that on the 6th of December 2007 he signed the certificate of completion to C:C:Soft Ltd. in previously said circumstances as the Chief Technology Officer. This in a professional and managerial circle, with instruments proved as a well-known fact, therefore this fact in the disclosure of the threat was totally unsuited to induce fear in anyone. Again, referring to the BKV's Internal Control Directorate No. 2nd test report, which reads as follows: „The implementation of the project administrator, owner (the claim application of the competitive, contract and any amendments to the certification of completion and payment of invoices authorized for) Zsolt Balogh Project management office manager (subsequently, Head of the Investment Department and Chief Technical Officer and General and Chief Technical Officer) was ". Reference: Volume Company39. page 7. In addition to threats, constant reference is made in the investigative testimony to that IV. accused felt, that besides his livelihood, even his life is at risk if he doesn't obey. Thus, for example: „I refracted of that on one hand that Hagyó could destroy me existentially because of the signed C.C.Soft fulfillment, while on the other hand, I felt a serious fear that at any time I could be killed, this fear is there to this day." In the investigative testimony of Zsolt Balogh, about his alleged groundless fears, I have spoken in my written testimony in more detail. I consider it necessary, however, to draw attention to this particular statement's contradictory facts. In other words, while in the investigative testimonies we read about, that IV. accused has been led by fear to prevent him of acting as deemed appropriate, the investigative protocols also shows, that IV. accused, both on personal and professional issues in a wide range of decision-making competence of high degree of autonomy and conscious awareness has acted. 1. while on one hand according to the minutes of interrogation held on the 26th of July 2010: "Miklós Hagyó called me "Zsoltikám". I asked him not to call me like this, but despite of this he consistently called me in this belittling way." 2. while on the other hand in the Daily Protocols on the 6th and 8th of July 2010, some of the BKVs in leadership position colleagues, he allows himself to designate them with such nicknames, such as: "the cup", "mosses and fern", "tabbed", "hotel", "nickel surface"
Reference: Volume 64. pages 41.807., 41.819., 41.829., 41.833. While I - and in this I'm very definite - never called Zsolt Balogh fondling "Zsoltikám", (which in the least I do not feel offensive), and which accost is not belittling, in contrast to the above listed terms are mocking names that are of an offensive nature can hardly debatable. In this respect, with relief I heard comments made by Attila Antal at the hearing, in which he said that he had never had the courage to call anyone so, and if he would have become aware about such things, he would have most definitely forbid. Reference: Volume 64. page 41.935. While the Honourable Tribunal is certainly well aware, I must add that in Budapest the headquarter of BKV is in Akácfa street. "I am hardened, because I was misled again. I then said that I've had enough of this, so far I have met every request of yours ... "
Of course as I've said in my general observations, everyone considers what happened to him/her in their own subjective way, but for me there's a fundamental contradiction between that one, that someone, and I quote, is "in fear of death", and in between and that those people against whom he feels this fear, "are hardened". „Earlier during my interrogation many times I have already said, that Hagyó and Éva Horváth, constantly tried to keep my fear and at the same time to give the impression as if they wanted to highlight me... they are quasi exposing their souls to me as if it they had some kind of big goals with me, but at the same time be afraid of them"
I must confess: these sentences and their semantic content of each word individually I understand, but the statements in their entirety I can not interpret. Before I make these observations, again I would ask for clarification from the Honourable Tribunal. (The judge expected to reply that: 1. What would you like to be informed of? Or 2. first make your comments and ask questions afterwards. In the first case, we are ready to move on, in the second case the answer is the following: in order to make my observations in this topic, repeatedly I definitely need some information). The provided document, and in principle on the DVD containing the full investigation document, I didn't find the Minutes recorded of the hearing of the head of Synergon Plc. Márk Lazarovics. I'm interested to know, if this document is at the disposal of the Honourable Tribunal? In view of this, as a preliminary point once again I have to ask a probabable remaining prosecutorial unanswered question: What is the reason for that, that the prosecuting authority accused me with the takeover of 15 million HUF twice, while the person from whom according to the described investigative testimonies contain Minutes the money comes from, that is, the managing director of Synergon Plc., never, in any capacity nor the investigating authority or the prosecutor's office had not heard? He was not heard until my pre-trial detention 2010. 14th of May, neither until my suspicion of the takeover of the 15 million HUF 2010 twice. 30th of August, nor until the incrimination in January 2012. The importance of this issue nothing shows more than the fact that the origin of the money and its takeover, the prosecuting authority solely bases to the testimony of IV. accused, against which Zsolt Balogh reserved his testimony at the hearing. I repeatedly, firmly declare that the head of Synergon Plc. from whom according to the prosecution during the year of 2008 I have taken money, and whose name I found out from the investigative documents, I do not know. With him neither in business, not in cousinship, nor in amicable relation I did not have and have not to this day. The relationship between BKV and Synergon Plc. transportation contract in this context, I had no knowledge of, I did not ask anyone, or received the relevant information, as well as in the preparation of the contract, conclusion and conducting of the certificate of completion and payment for the work I was not involved in any way. 4. Who, when and what kind of contract concluded applies to the IT system? The 2010. 24th of February Daily Minutes says: „BKV entered into a contract with Synergon Plc. in the spring or summer of 2008. On the so-called central purchasing (state) this company won for transporting Microsoft software, so this company could be contracted directly. " Reference: Volume 64. page 41.739. 1. The above-mentioned, so the dated 24th of February 2010. according to the minutes of testimony, the contract has been concluded by IV. accused, to my instructions. 2. In 2010. August 23rd the minutes of interrogation is already included that IV. accused signed the contract because it was in the signatory block, and the necessary preparatory signatures were on it. Here is mentioned the running around with the contract and urging the signing of it Róbert Nemecsics, who if he doesn't go away from the BKV, then - so IV. accused, - would have not become aware of the amount in question. Reference: Volume 64. page 41.851. Reference: Volume 64. page 41.857. 4. IV. accused, in the Minutes of our confrontation what took place on the 14th of September 2010, also talked about my experiment of influence to the related existing contractual with Synergon, from which statement, most definitely I say that is not true. From this part of the testimony I'd like to draw the Honorable Tribunal’s attention, in which IV. accused, says the following: "...operatively I didn't deal with the tendering process, I replied to you that my assistance in public procurement is not possible, essentially I rejected your request." It is not clear that during the investigation made Minutes, where, and which Synergon contract we're talking about, the contract of delivery or about the IT Outsourcing Agreement. It can not be determined from this evidence, that why IV. accused concluded the contract with Synergon: 1. the company won state public procurement, so it could conclude a contract, 2. he concluded it because of my order, 3. he signed it because it was in the signatory block with all the necessary preparatory signatures on it, 4. or the next version of that "I testify that I concluded the contract of Mr. Hagyó's instruction, because of my walk with him and because of the name of Synergon." The date of the contract neither case could not be accurately determined in the investigative testimonies. 1. 96.000.000,-HUF From 2008. June 30. to 2008. September 29. 2. 193.969.000,-HUF From 2008. July 30. to 2009. January 31. Signed on behalf of the BKV Co.
4. I draw attention to the fact that all this in accordance with the investigative testimonies means the following: 1. IV. accused, 300 million worth HUF, otherwise under state level public procurement was conducted, a signature of the contract on the 30th of June 2008. was not refused, because he feared the consequences, 2. in contrast, in the case of the 33 billion HUF worth of IT Outsourcing contract, he dared to resist me and refused my request! He did all this because he was not retaliated! As another shortcoming of the investigation file here I have to point out, that over the past two and a half years the referenced public tender preparation and conduction, and concerning its post life, obtaining documents for unknown reasons has lagged behind, like the examination was not carried out that Synergon Plc. outside of the BKV what other public company contracted based on the public procurement. Despite, that the 19th of November 2008. IT Outsourcing contract (reference: Volume Company30. pages 31.-121.) is not the subject of the accusation, essential consideration to draw attention to the relevant contradictions is all the more because of the confrontation the prosecution attached importance of the event. The Protocol of the 23rd of August 2010. states, that although I tried to practice pressure on IV. accused, to ensure that with the exclusion of one of the companies in the above-mentioned business Synergon will be left alone, from Zsolt Balogh, - according to his own words -, I got an "evasive answer". In addition, that event did not happen, this confession of IV. accused, with his later testimony of Minutes, nor with the proven facts are not in accordance. „Mr. Balogh mentioned that one of the corridors of conversation for an IT tender procedure has been considered a candidate for exclusion. Please make a detailed statement about this. Which company, what tender was that? „"Then he asked me, Miklós, as the deputy in force, find a reason a mode to Synergon be left alone, and the other company as far as possible to be excluded. I think again, I asked for a day or two, given the fact that I have not dealt with the operative tendering process and I said to you that it is not possible my involvment in public procurement, essentially rejected your request. 2. I'd like to refer quite briefly the significance in terms of the contracts concluded between Synergon Plc. and BKV, from the website of BKV, publication of the notice on the 19th of November 2008. from which is the only conclusion, that has often been referred to the conclusion of the IT Outsourcing contract, I could not have any (either negative or positive) roles. The bulletin reports that BKV Directorate - after the termination of the previous partner’s existing contract - made a decision on the above mentioned IT contract conclusion with Synergon, as a result of a public procurement tender, in which 17 companies submitted a letter of intent in which Synergon had the most advantageous offer. As a result the determined 10-year fixed-term contract is in every aspect better than the previous agreement: compared to the previous significant additional service and higher quality of service levels involves a long-term liability and a lower amount of bank guarantee. According to the Notice, from the contracts BKV expected an overall a 3 billion HUF savings. 6. Why did you have to hand over the money? The most strongly refute what is readable in the the investigative protocols, otherwise occasionally variously said claim, that in Gödöllő in 2008. March I have instructed IV. accused for the handover of a specified amount. The deviation of the various statements I won't analyze, although I would have plenty of reasons and bases for it, but I refer to it, that on this subject occasionally is a different tone, expressions and content can be found in the protocols and media statements. In summary, all of the alleged 'cash-out', and its purpose, that is, the money in another way is entirely contradictory to the protocols and the first interrogation of suspects after the interviews. I must emphasize again that any assertion of the opposite for more than two and a half years now I say the same, namely, that neither from Zsolt Balogh, nor from anyone else, I never asked for any kind of illegal money. I also declare that my colleagues are in employment relationship or in agency relationship with the Mayor's Office, their remuneration is to be received from the Mayor's Office, which investigations conducted by the SAO is supported, and that I have no relation to any retirement home. "In my time, in a communication point of view the Parameter Book scandal was a peak time, because of the bus strike and tender scandal, and the AAM scandal." Reference: Volume 64. page 41.827. This assertion can be fully supported by the testimony previously given by me, namely, that the meeting in Gödöllő was requested by IV. accused, because only three weeks working as the Acting CEO such major problems to be solved were waiting for him, in which he needed consultation. 7. Where did the 30 million originate from? The origin of the money otherwise never taken over money by me, the records of the investigative testimonies - different ways of giving and the circumstances described in different ways too, but - in all cases the managing director of Synergon, Márk Lazarovics in person has been marked. "It was added together at the BKV, leaders close to Hagyó have already known that I will hand the money...-Acquired from companies around BKV." „The fortune or misfortune in this case played at my hand. This means that in connection with one of the IT contract a former leader had a background deal which basis the IT company wanted to pay a business acquisition commission the the Director "
Reference: the 5th point of the written statement Annex. Based on all these clearly established, that to the questions concerning the origin of the money two very different and mutually exclusive answers were born, to which reasonable arguments can hardly be explained. Therefore, I can not find a logical legal reason, why indictments were filed against me based on a single incriminating confession, moreover based on an incriminating confession, which are not justified with other facts, and of which control of, the prosecution apparently made ​​no effort. 8. When, where, and how did you meet with the leader of Synergon, Márk Lazarovics? It seems insignificant, but - because it's about the authenticity of the only evidence against me - I can not leave without a word, and it is important that in the investigative protocols confessions also differ from each other, that when and where under what circumstances IV. accused met with the managing director of Synergon, Márk Lazarovics, and how the meeting takes place. The first testimony (2010 February 24th) about the meeting location does not contain anything, but it does, that to IV. accused, Lazarovics was already offered the money. According to the minutes of testimony of the 16th of March 2010, they met for the first time in a coffee house early summer of 2008, where according to the feelings of IV. accused, Lazarovics aim was to prepare the large IT contract. According to this testimony, there's no money mentioned at the getting acquainted meeting. Reference: Volume 64. page 41.763. In the testimony of 2010. August 23rd yet another confession is legible. The preparation of the acquaintance and the conduct of its location, equally the building of BKV, firstly the corridor of BKV, (referred to herein as a designated mediator Attila Srágli, Synergon leader, otherwise nobody auscultated him), therefore, the first Balogh- Lazarovics meeting took place in IV.accused's office. The Protocol does not contain anything about coffee houses or lobby conversations. However it does appear that Lazarovics already mentions the money. 9. How do you remember the 2008 money handover? It might also seem a subordinated thing, that the relevant terms of content of the recorded Minutes of IV. accused testimony are not consistent with one another in any respect, when and in what circumstances, in what order, what sites the contents of negotiations that took place that Márk Lazarovics undertook to give me the money often mentioned. Because IV. accused has a testimony, according to which after the first coffee house conversation, on their second meeting in late June and early July 2008, Lazarovics not only offered him the contract concluding commission of 30 million HUF, but then and there they agreed without hesitation that the manager of Synergon as a consignment of Balogh, will give me 15 million. IV. accused, in another Minutes of investigative testimony on the 23rd of August 2010. a different statement appears. According to this, during the first meeting at IV. accused office, Lazarovics suggests that he would give commission to Balogh, who - according to this statement - eluded from the answer, then after a week reflection period, at the second meeting at a coffee house says that the money shall be sent to me, Miklós Hagyó. The comparison of the two testimonies not only turns out that the statements are incriminating me with important details showing differences, but to other elements of the testimony, namely, the reference to the credibility of fear. It is hardly believable that someone living in fear, and according to his own testimony sustain provocation (see: Volume 64. 2nd paragraph of page 41.853.) to a person who is practically an unknown stranger, to give 15 million HUF to a third person, that regarding to the destination of the money, has no possibility of any control. I will briefly recall the details of IV. accused testimony, which refers to the antecedents and circumstances of the money handover. Comparing IV. accused confessions with the verifiable facts, (date of signature of the contract, St. Stephen's trek start and end date, my departure, the thermal bath time), the following time sequence was determined. Syneron Plc. concluded its first contract with BKV on the 30th of June 2008. June 30th of 2008 fell on Monday. Reference: Volume Company30 pages 123.-131. Following the conclusion of the contract, ie begining on the 30th of June 2008 and ending with one of the working week's day of the 4th of July. At that time he did not accept the offer of the business acquisition commission. Then approx. for a week he thought about it and then he asked his secretary to arrange a further meeting with Márk Lazarovics. The acceptance of the offer and the persuasion of Márk Lazarovics to handover the money, could have been on the week starting on the 7th of July, which the last day of the week was the 11th of July. 5. The calling of Ottó Lelovics (which according to the testimony of Zsolt Balogh, happened after the expiry of the aforesaid period), to which accordingly took place on or after the 10th of July. 6. The tour departure time: the 10th of July 2008 (I travelled by train to Szombathely, from there by bus to Velem, where the tour began. My companions on the way were Ottó Lelovics, Zoltán Bogad and Gábor Körmendi, who can all testify the fact of the common trip). 7. The starting day of the tour: the 11th of July 2008. 8. The date of my meeting with Zsolt Balogh, and according to IV. accused, occurring thermal "interlude": the 17th of July 2008. From this it is clear, that based on the chronological order of the investigative testimony, that with the date of the contract the 30th of July 2008, calculated as the starting point, it is factually impossible that the alleged 15 million forints from anyone, Márk Lazarovics, or anyone on behalf of him until the 10th of July 2008, so as long as I stayed in Budapest, would hand it to me. As I touched upon, I had companions at St. Stephen's Trek, with whom I spent 24 hours a day. Márk Lazarovics was not among them. "Lazarovics told me that this is a multi-year contract and will be paid annually by the BKV and thus after the financial performance would pass the money in two installments." 1. By BKV with Synergon concluded the contract on the 30th of June 2008, which subject is: Contract of carriage Microsoft products Microsoft Enterprise Agreement in the framework of transport contract. Payment milestone: the date of signature of this agreement will be billed 96.000.000.-HUF + VAT – with a 60 day payment deadline. Payment milestone: the date of signature of this agreement will be billed 193.969.000.-HUF+ VAT - 2009. the day of payment deadline is 2009. January 31st. The Contracting Parties further agree that the completion date is considered the date of invoice. Reference: Volume Company 30 pages 63.-70. 2. This is further supported by the Budapest Police Headquarters, Department of Economic Protection on the 1st of April 2010 signed police report. Reference: Volume Company30 pages 819. and 821. I emphasize that Synergon had more than one bank account, in respect of which the investigating authority requested addressed to the financial institutions, and then analyzed the data received. As a result the investigative documents available to me all together of 8 police reports, each of which analyzed the period between the 1st of January 2007 and the 1st of February 2010. Reference: Volume Cmpany30, pages 277., 287., 291., 295., 333., 337., 341., 819. 1. on the date of 12/09/2008 117 504 000,-HUF "computer technology service"
2. on the date of 03/02/2009 237 418 056,-HUF "computer technology service"
which amounts fully comply with the terms and conditions fixed amounts described above. The report however does not only contain when the BKV transferred to Synergon, but also shows what was the fate of the received amount, that is set out in detail the further move of it, and in this neither a 15 miilion HUF item, nor the name of Zsolt Balogh as beneficiary is not listed. In accordance with the Protocols, the managing director of Synergon could only pay after the contract performance of BKV. The contract between Synergon and BKV took place on the 30th of June 2008, in which BKV has agreed in a 60-day payment deadline to perform the first part of the contractual obligations. According to the investigative testimony of IV. accused, the confirmation of the first 15 million takeover took place at the St. Stephen's tour in Hévíz thermal lake. The tour reached the Hévíz lake on the 17th of July 2008. In contrast, however, any of by BKV completed transfer to Synergon in Volume Company30. contained in the report prepared by the investigating authority, the first took place on the 12/09/2008. Clearly it is established, therefore, that from the part of the BKV financial performance, - which in the investigative testimony is designated as the source of the first 15 million - it happened two full months later, as the amount obtained from the transfer of the date of the acknowledgment of receipt of money. What the investigating authority failed to do? The investigating authority or the prosecutor's office did not try to find an answer to the basic questions of criminal law, of who, when, where, why, and how it gave me the amount according to the indictment in 2008-2009, and what was the further fate of it. During our confrontation on the 14th of September 2010, to the question asked by my pleader, that from where the 15 million twice is coming from, IV. accused after the indoctrination of his pleader, he refused to answer, which is also strange because he claimed that I knew the origin of the money. The question arises in me, if he is convinced that I actually knew what was the source of the money, then what was the reason that he did not tell at the confrontation? But in fact as I said before, I only knew of what Zsolt Balogh said in an interview to the Hungarian Nation on the 6th of March 2010, in other words, the money is added up at the BKV managers so that the BKV obtained from companies around. I knew this version until the document description. Unlike me, however, the investigating authority, the prosecutor accurately described the allegations contained in the investigative testimony of IV. accused, but nevertheless, it can be recorded as fact, that to me in connection with Synergon Plc. therefore with its leader Márk Lazarovics, neither the police nor the prosecutor did not ask a single question ever! It can also be recorded as fact, that although before the imposition of my pre-trial detention on the 17th of May 2010, the investigating authority made readily available the above referred police report dated on the 1st of April 2010, which contains exactly that the BKV according to the contract, at first performed to Synergon only on the 12th of September 2008, however that, at the drawing up proposals of the applied coercive measures against me, nor the investigating authority or the prosecutor's office did not take into account. 1. According to IV. accused statement, the first money transfer circumstances which took place in the summer of 2008, the confession has undergone several changes. The contents of the different confessions I won't quote, only imply to mention them. I would again stress: what the investigative testimonies including are not true. I did not take not one penny from neither directly Márk Lazarovics, nor through intermediaries, o I could not say the opposite of this in Hévíz lake. 2. All statements listed above, however, are questioned, and at the same time, also in 2010 August 23rd, in the minutes of the statements of testimony. These are about that in the spring of 2009, when he wasn't the Acting CEO anymore, met with Márk Lazarovics, who - claims that - informed him that he wasn't the one who delivered the first amount to me, but sent to me by a third party. This part of the contents of the confession lacks any rationality, therefore, in itself casts doubt on the credibility of testimony, as the conversation between IV. accused and Márk Lazarovics has been nearly a year after, that the handover of the money supposedly I acknowledged in Hévíz lake. If once I have verified the handover of the money before the summer of 2008, and hence IV. accused, and personally has been convinced that the money reached its final destination, then what doubts he could have against the procedure of the sender?! Reference: Volume 64. page 41.855. Before I would briefly elude to the contradictions in the testimonies, once again I firmly declare: that I did not receive money under the provision of IV. accused, through other intermediary in 2008, so I did not get directly from him in 2009. If this conversation actually took place in the summer of 2008, at a time when Zsolt Balogh was exactly the Acting CEO of BKV, then he was in a decision-making situation. However it's not understandable, if Synergon representative then offered him the amount because Róbert Nemecsics who has already left the company, then in 2009, when István Kocsis was the CEO, and Zsolt Balogh had an other position, aware earlier, why did he turn to - at least said - Márk Lazarovics. It is even less clear, that the head of Synergon why would he hand over another alleged 15 million forints to him. Reference: Volume 64. page 41.853. The fact that in spite of the position of IV. accused, at least according to the Protocol, acquainted in such depth with the leader of Synergon, could provide a basis for further conclusions, which deduction of I do not feel as my current job. That rhetorical question, however, - not the first time and probably not the last - I have to ask, that if the prosecuting authority from Zsolt Balogh, the business practices of the managing director of Synergon, acquainted by the now described testimony, then what prevented them, that in the possession of the obtained information, takes the necessary investigative steps? If nothing else, at least so that to the historical facts of the crime imposed on my burden, it is bound to explore according to the statutory requirements. For example, by hearing the leaders of Synergon, primarily, of course, Márk Lazarovics. Why this is behindhand, remains a mystery. 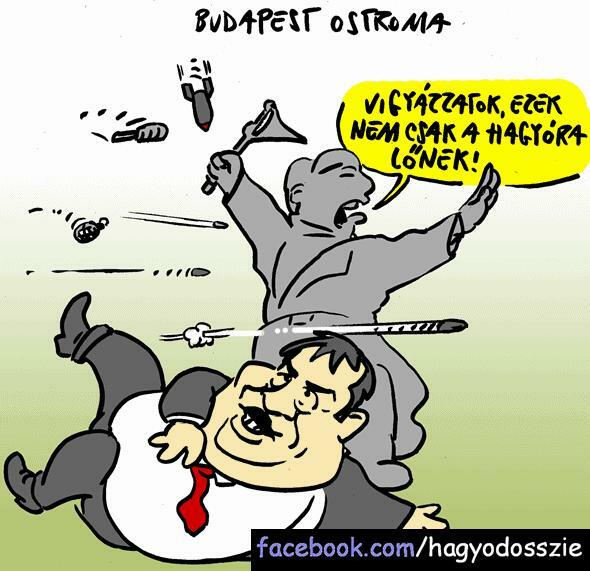 "To answer your question, my mandate was for 30 days, but Hagyó said, that it will be extended. After this conversation, I would have loved it, that after the 30 days someone else to be the CEO, to avoid having to get together and give him the money, but later in 2009, when I was no longer the CEO, I still had to pay him this money, because they indicated that due to the C.C.Soft contract, they will make me impossible." Reference: Volume 64. page 41.849. Reference: Volume 68. Minutes of Confrontation page 13. The recent statements I can not interpret, however, I would like to point out one thing: what I've said concerning C.C.Soft Ltd., irrefutable documentary evidence is available about that Péter Takács, that of the conditions of the Szentendre passenger information system, on the 19th of September 2008 he has sent an e-mail to János Franka, to Gábor Nemetz, to dr. Péter Tóth and also a copy besides Zsolt Balogh, to Sándor Futó, who was the coordination Chief Advisor of the Chairman of the Board of Directors. That threat according to the Protocol, as well as the fear from, therefore, that a year later, in 2009, in conjunction Szentendre travel information system anything may get in front of the Board of Directors, honestly, I just can not interpret. It can't be frightening, and therefore no one can start a serious offense to disclose evidence of the threat, a fact which is known to all persons, those who for the application of sanctions in case of detection of the facts are duly authorized. According to the testimony of 23/08/2010 Lazarovics did not show the money, but said in detail how much was in the box, the bag was not removed from Lazarovics's car by Balogh, but first Balogh gets in the car of Lazarovics and takes the money inside the car, furthermore all this, - in contrast to the earlier testimonies - this doesn't happen at the parking lot of the Town Hall, but on the street. After Balogh sits back to his service car from Lazarovics's car, both vehicles start up, and Lazarovics follows Balogh all the way to Madách Square. As a new element, it appears that the driver of the service car named Józsi, witnessed all this. As soon as in this order the tenth (!) testimony, it is also a brand new element, that I did not just pull the bag to myself, but I also opened the box and looked into it. The contradictions are evident in the testimonies, a separate analysis is not required. It is no coincidence then that in the Protocol of 23/08/2010, to the lengthy question from the detective, in my opinion, is rather confusing and unsuitable for resolving conflicts speculating about the Audi A8 of István Kocsis and Márk Lazarovics, and that the identity of the two types of luxury cars, that how IV. accused, could lead to a tangled story far from the truth, that he took the money from Lazarovics at the Town Hall's parking lot. In summary my observations on II. Count, and concerning the testimonies of. IV. accused, I must emphasize once again my conviction, that only based on these conflicting investigative testimonies the prosecution raised accusations against me, that the facts of the II. Count, for not a single element of it the variable content of the testimonies of IV. accused, in addition has no evidence.